AFBOOTS is a Made In USA boot brand based in Mountain City, TN. Long time customers, Allegiance Footwear have built their brand from the ground up. 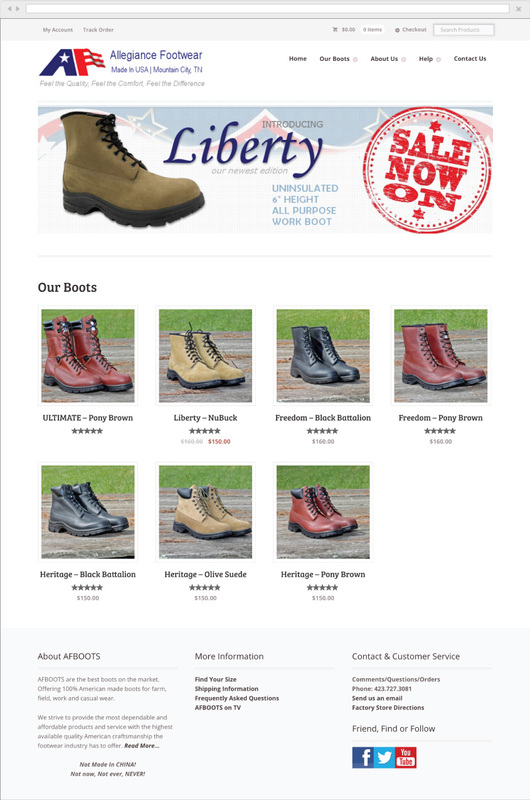 The AFBOOTS site is a boutique storefront for their waterproof and insulated leather boots. We were able to exceed expectations by building a minimal and efficient ecommerce web store with quick and easy PayPal checkout.